When it comes to food and drink production, it's essential that processing and packaging lines are completing runs that deliver a quality, safe end product. After all, products that are contaminated and unsafe to consume or drink could hurt a brand's reputation, not to mention open a particular brand or company to legal issues. But one common misconception when it comes to food and drink production is that it's only the end product that needs to be inspected and checked for quality control. Arguably just as important to keeping the end product contaminant free is keeping the equipment that processes the product contaminant free. Yes, the conveyor lines, packaging lines, metal detectors and more aren't immune from accruing contaminants such as harmful bacteria and more that could find their way into the end product, thereby compromising it. Both daily and routine cleaning, sterilization and sanitation should be practiced. The aforementioned practices should be monitored or supervised to ensure that it is done correctly and adequately. Additionally, the importance of these procedures should be stressed by management. In other words, this shouldn't be an afterthought; it should be a priority in any facility. Staff safety should also be considered when any cleaning, sterilization and sanitation plan is implemented. For instance, it's important for staff members to be properly trained and educated on whatever cleaning procedures they are carrying out in a facility. Failure to implement such a procedure could lead to severe ramifications. There are many different equipment components in the food and drink production line. There are conveyors, which move packaging to various filling or distribution stations. 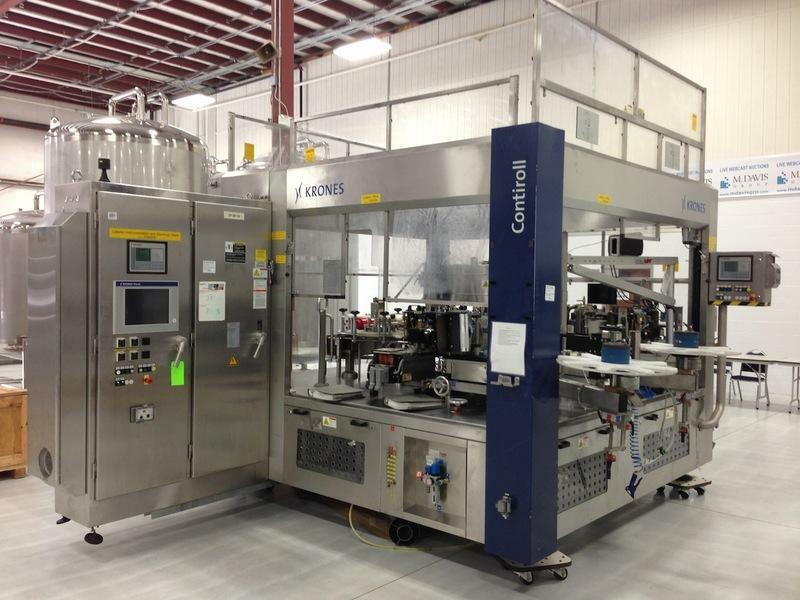 In some cases, there are even form-fill-seal machines, which essentially finalize the production and packaging process so that products can move on to shipment. Many processing lines also include the use of metal detectors, so that food and beverages can be checked to ensure they aren't carrying any harmful metal in them. Radiation: This tactic involves the use of ultraviolet radiation to get rid of microorganisms, and is becoming a more and more common sterilization method used in food processing facilities. Generally, by just administering the UV light to processing equipment for 2 minutes is enough to kill all microorganisms that come into contact with them. While fast working, there are a few notable disadvantages to going the UV radiation route. One, such equipment is usually pretty expensive. And two, the UV light is usually only able to treat a small area of the processing equipment at a time. Steam: This method uses heat in a gaseous state, as when it is applied to the surface of the processing equipment – and under the right time circumstances – steam can be a critical ally. Generally, steam needs to be at least 170 degrees Fahrenheit and be exposed to processing equipment for a minimum of 15 minutes to properly sterilize and sanitize it. At about 200 degrees Fahrenheit, steam needs to be exposed to the equipment for only about 5 minutes. One downside to using steam, however, is that steam’s condensation byproduct has been known to add complications to the cleaning. Hot Water: Heat in a liquid state, as in hot water, is also a viable sanitization and sterilization method when it comes to processing equipment. Generally speaking, however, hot water must be heated to at least 171 degrees Fahrenheit to be effective in eliminating microorganisms, though higher temperatures will enable sterilization in a lesser amount of time. Depending on the process, temperatures that must be reached and times that hot water must be applied vary. The likes of circulating systems and dishwashers are commonly used for sanitizing and sterilizing equipment using hot water. Compared to the other means of thermal sanitization, using hot water is relatively inexpensive, easy and highly effective. However, being a slower process that needs a warm-up and cool-down period, it can be a bit more time consuming. Hot Air: The third and final way to apply thermal sanitization is to apply hot air to the packaging equipment. The experts agree that hot air must be applied for about 20 minutes and at a temperature of 180 degrees Fahrenheit. Chemical Sanitization: Last but not least, the other of the “big 3” sterilization and sanitization processes is the use of chemicals. Chemicals are a highly effective means of eliminating microorganisms from processing equipment – but only under the right conditions. For instance, in order for chemicals to work properly, the balance of chlorine, iodine and ammonium must be correct. What’s more is that there needs to also be the right concentration, temperature and contact time. As an example, when using a chemical to sanitize and sterilize, the right amount of the particular cleaning agent must be used, it needs to be used in the right temperature conditions and it needs to be applied for the appropriate amount of time to adequately work. If these standards are not met, efforts are likely to fail, thereby compromising the end food or beverage product through possible contamination. Cleaning, sanitization and sterilization of food and beverage processing equipment isn’t something that should be taken lightly. It’s an important job that requires dedication and a high level of attention. 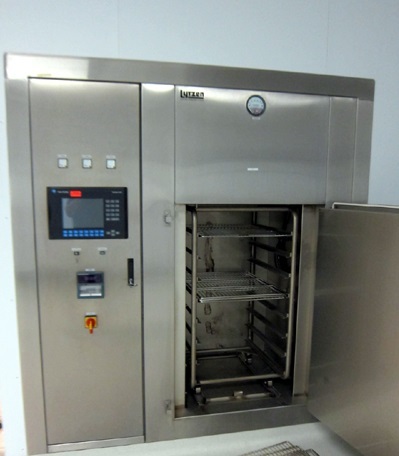 For more information on how to clean, sanitize and sterilize processing equipment used in food and beverage production, and for a look at said equipment that we have in stock, contact Bid on Equipment today. 1. Product description: Yes, first and foremost, labels are designed to share information about a particular product. If it's a label on a food item, it might share ingredients, calories and other nutritional information. Labels on medical products might share directions and information on how to use it. Other labels may provide cautionary information. 2. Product ID: Have a particular product or product variety you're looking for? That's another important component of labels they help consumers more easily find the brand and type of product that they're seeking. 3. Grading: Grading refers to the quality of a particular product. Labels can help identify products of various grading by outfitting products with different colored labels pertaining to the different levels of quality, for instance. 4. Promotional tool: Yes, labels aren't just for sharing information - they can also help a brand market itself and help it to better stand out on the store shelf, thereby making it more attractive to consumers. The right type of label can be an important sales tool. 5. Legal information: Last but not least, labels are also often used as places where products must share any legal information with consumers. Now that we a little about the purpose of labels, it's time to get into more of the specific types of labels that are used on product packaging. It shouldn't surprise you that there are a variety of different labels that consumer package groups, or CPGs, can use to better help their products shine on the store shelf as well as contain any necessary product information. All labels must be processed by a printer. And being that labels are small, this type of package printing is known as "narrow web" printing, as the paper or film that the labels are printed on is usually small in nature. There are many different printing technologies that are used to print labels. Flexographic and gravure printing are ideal for long label runs where high-quality imaging is desired. Another popular label printing technology is offset. Additionally, for short-run label processing or custom labels, digital printing may be deployed as it doesn't require the infrastructure that the more conventional printing technologies need and is more apt for changes. Film stock labels: Labels derived from film - such as PE, PP, BOPP and more - are emerging as a popular type of label due to the many benefits that they offer over their paper counterparts. For instance, many packaging professionals state that film gives way to brighter, better overall graphics, which obviously help products to better stand out on the store shelf. And then there are other notable features of labels derived from film stock, such as better durability, thermal stability, chemical resistance and enhanced tear resistance, among others. Another big factor regarding film labeling is that such labels can be outfitted with specialty coatings and plastic film can be created in special and custom varieties. Plus, film stock is generally cheaper than paper stock, which has led CPGs to increasingly choose film over paper as a means to cut costs or pass any cost savings on to their customers. Paper stock labels: Though film stock is growing at an impressive rate these days, paper certainly still has its place in the label market. What's more is that the differences between film and paper are significant. Perhaps the biggest difference is that paper is much more easily recycled when compared with plastic film, of which there's presently really no good solution for removing plastic labels from the waste stream. Additionally, printing on paper still looks great and also offers traits such as low heat sensitivity, better die cutting ability and good strength. In fact, while many people think that films are all that can be used on food packaging like wet drinks and other products that may become wet, wet paper has been developed so it too can stand up to damp environments. Shrink sleeves: Shrink sleeves are best associated with labeling the likes of bottles and cans. In fact, research from Smithers Pira states that the shrink sleeve market has evolved over the years to capture about 12.5 percent of the current label market today, which is significant. Brands like shrink sleeves because they look stunning visually, can hold a good deal of information and are extremely versatile. Because shrink sleeves generally encompass if not all of, but most of, the product that they are labeling, brands have a large space to work with and can put everything from specialty graphics to product information on them. Shrink sleeve labels have become particularly big for craft beer companies and high-end drink makers. Another notable feature about shrink sleeves is that they are an ideal label solution for unusually shaped products. Printed electronics: It's an industry-wide consensus that "smart packaging" is the future of labeling. And smart packaging is best done using printed electronics, which can be things like QR codes or technologies such as near-field communication (NFC), which is essentially a microchip in the label. Smart packaging enables consumers to scan the label with their smartphones and then have access to a variety of other features about a particular product, such as directions, brand messaging or some sort of value-added feature. While the consensus is that printed electronics are still in the "elementary" phase - today, they're most often associated with anti-counterfeiting and are normally incorporated in the labels of luxury brands - packaging professionals say that there's really unlimited potential for this technology. Look for it to become more and more prominent as costs come down and processes become more advanced. While there are many types of labels that are currently in use when it comes to packaging, it's worth noting that the equipment and supplies to fabricate them can be costly. That's why it can make sense for a company to acquire used products that work like new, rather than invest in a brand new product. That's where Bid on Equipment comes to play, as we acquire used products and sell them for discounted prices. For more information on labels and labeling, and to browse Bid on Equipment's inventory of equipment and supplies, contact us today. What has been bringing buyers to Bid on Equipment through the month of July and what are they looking for when they are here? Interest in each of these terms has grown 100% – 1500%!